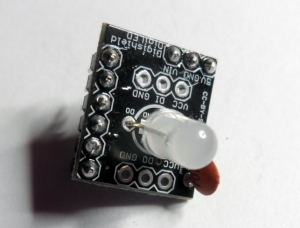 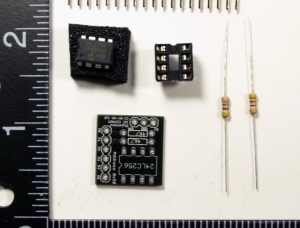 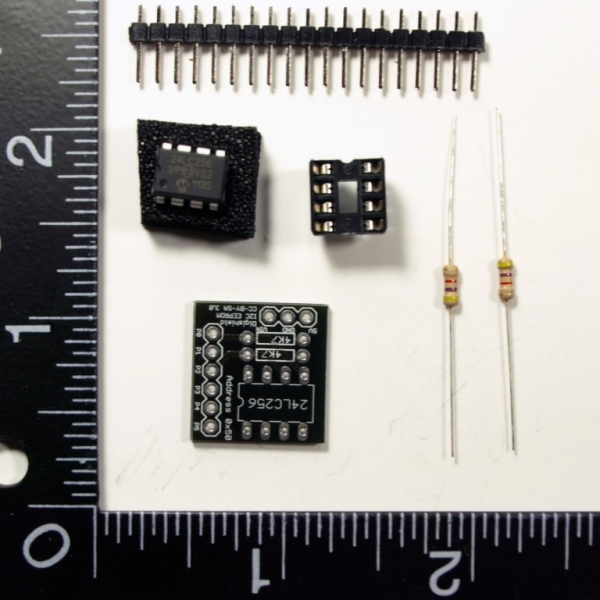 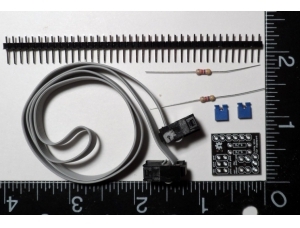 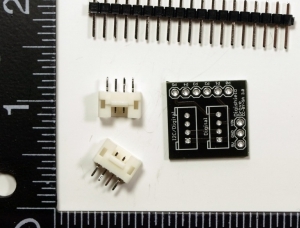 The EEPROM Shield Kit allows you to build a Digispark shield which connects a 256Kbit Serial Electrically Erasable PROM (EEPROM) memory IC to the Digispark development board. 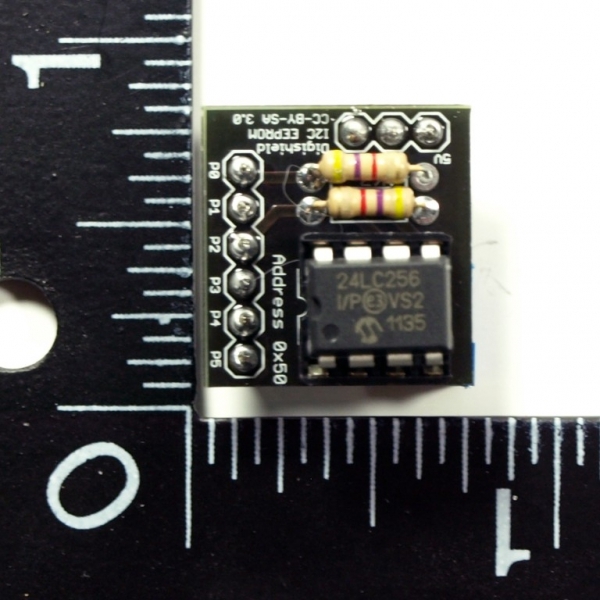 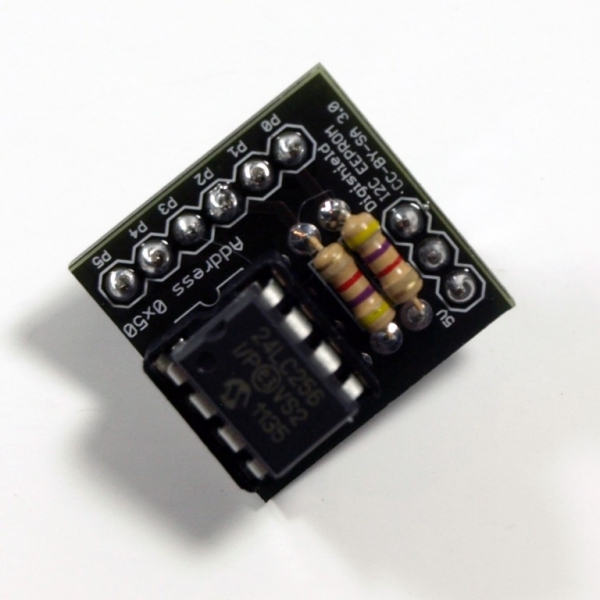 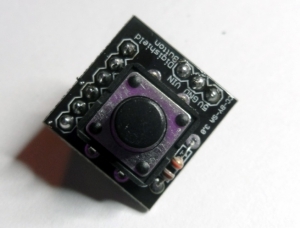 The IC used is the Microchip 24LC256 and it communicates with the Digispark over the I2C bus. 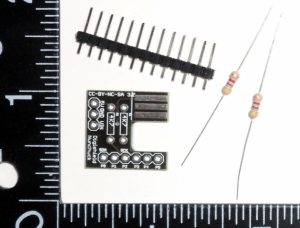 The EEPROM Shield can be used to store data even after the device is powered off. 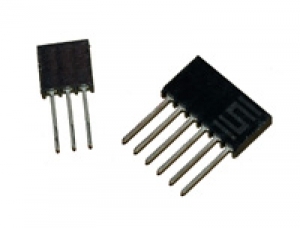 The IC has an endurance rating of over 1 million write/erase cycles and its rated data retention is more than 200 years.